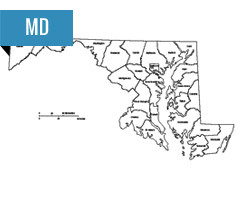 Energy deregulation in Maryland began when the Electric Customer Choice and Competition Act of 1999 was enacted.This legislation created the MD electric choice program, which enables residents to choose their own MD electric suppliers (with the exception of residents being served by non-profit municipal or rural cooperative utilities). End result? Most MD residents and businesses were no longer bound to buy their energy from their local utility company. Indeed, business customers were among the earliest adopters, with over 90% of big businesses, nearly 60% of medium-sized businesses and nearly 30% of small business owners making the switch. Meanwhile, more and more private residents are switching to alternative MD electric suppliers as well. Switching is seamless, mainly because the customer’s local utility company is still responsible for supplying the power, maintaining the necessary infrastructure, responding to outages, delivering the power and billing customers. Thus even those customers who choose alternative MD electric suppliers are still assured of getting the same reliable service from their local utility. The end result is more freedom and more consumer power, such as the ability for customers to procure lower MD electric rates for themselves. Residents also have the option of seeking out MD electric suppliers who match their values, such as those suppliers who produce cleaner, greener energy. Step 1: Shop alternative MD electric suppliers.You can compare rates and offers right on this website. Step 2: Understand the MD electric rates offered by the supplier. Be sure to understand if the quoted rate is a fixed-rate, variable rate or even a promotional rate. Step 3: Read and sign the contract.Take note that most MD electric suppliers require you to sign a contract for one to three years. If you find later discover lower MD electric rates through another supplier and you wish to switch again, you may need to pay an early-termination fee. Once you’ve made the switch, your new supplier will inform your utility company about the change.Usually within a billing cycle or two you’ll see the new MD electric rates reflected on your bill. You can opt to get one bill from your utility company, or you can choose to have the alternative MD electric supplier’s bill be separate from your local utility bill.